Are Mothers hard-wired with low patience levels? Patience is a virtue in any situation in life. However, when it comes to dealing with young ones it is at times required in over abundance. From my experience and observations around me, I find the fathers outscoring the mother on this virtue by miles together. Demonstration of patience in the initial years is the same for both the parents as the kid is too small. However, as the child grows there is a decline in the patience levels of mothers. This may come across as a generalized biased statement but when I look around including my wife, I feel that the tipping point to start scolding kids at the slightest misdemeanor is extremely low with mothers. I have seen enough cases within family, friends and in public spaces to stand by my statement. I did speak to a few mothers to understand the rationale behind it and the retort I got was “try spending the whole day with the kids, manage the house and the numerous other chores with it and then we’ll talk”. So going by this logic working mothers should not be falling in the short of patience category then? 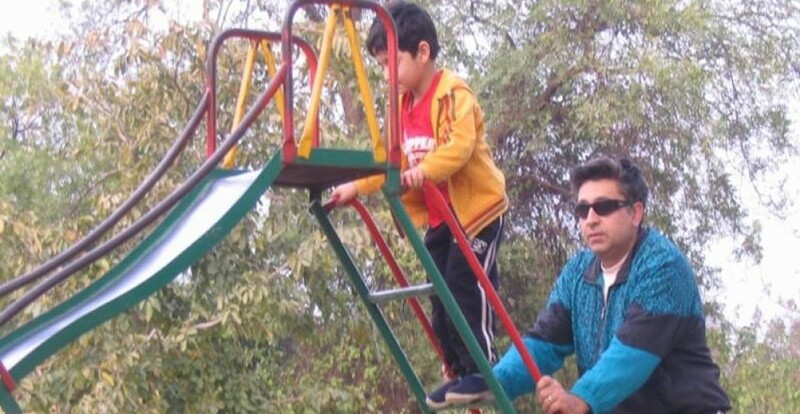 While weekends and holidays are completely devoted to my son and other household chores (I am sure a lot of the fathers do as well) – I am never short of patience. I don’t mean to come across as superman, but the point I am trying to raise is – is there any long term psychological damage which may be happening inadvertently? Are the mothers lending themselves to becoming ineffective over a period of time with the constant (nearly) shouting? Living close to the school has a lot of advantages and one of them being the ability to choose to drop and pick the kids up from school. So when it was time to enroll for the school bus we too had our share of discussions J around the pros and the cons. A lot of it emotional but finally the bus prevailed. It provides independence to the kids, exposes them to different age groups, increases confidence and is an opportunity for them to have an adventure to and fro from school. Most importantly for a lot of us I think freeing the parent (read mothers) from yet another responsibility. So thankfully we’ve had a great run so far. Infact, my son gets very upset if he misses the bus and hates being dropped to school. He insists that we try and catch it en-route -which incidentally becomes another adventure for him. Ask any voracious reader and you can expect a disdainful look as an answer. My wife is an avid and fast reader. She has a mountain of books besides her at all times. I am the occasional reader and will pick up a fiction writer during a vacation, (if i’m taking one that is :(). My folks too read quite a bit our little friend (son) unfortunately has not got my wife’s genes for reading for sure. While some of my peers believe that book reading is not important and is a waste of time, as everything is available on www, ipad, tablet or the laptop. I certainly don’t think so for me reading is very essential unfortunately in my son’s current scheme of things reading is not a priority at best 15 minutes in a sitting. Any advice?